Tequila carefully prepared at the first distillery having an ecological boiler in operation. This Premium Tequila is prepared with the highest quality standards, which translates into complete satisfaction for the most demanding palate. A sparkling, golden colored tequila with a great aroma and medium body. 100% agave, a most carefully distilled product, tamely rested in cellars for 6 months. Aroma: Smoky, nutty, cooked agave with a light touch of yeast. Sweet and fruity like pineapple or orange zest. Herbal like spearmint and fresh grass. Anise, oak, wet straw with touches of roasted corn. Crystalline white tequila carefully prepared in the distillery through a double distillation process; 100% agave. This tequila is not subject to any ageing or maturing process, except for a final period of rest before it is bottled. Rey Jaguar Silver is for those who know how to appreciate the distinctive flavor of pure agave. 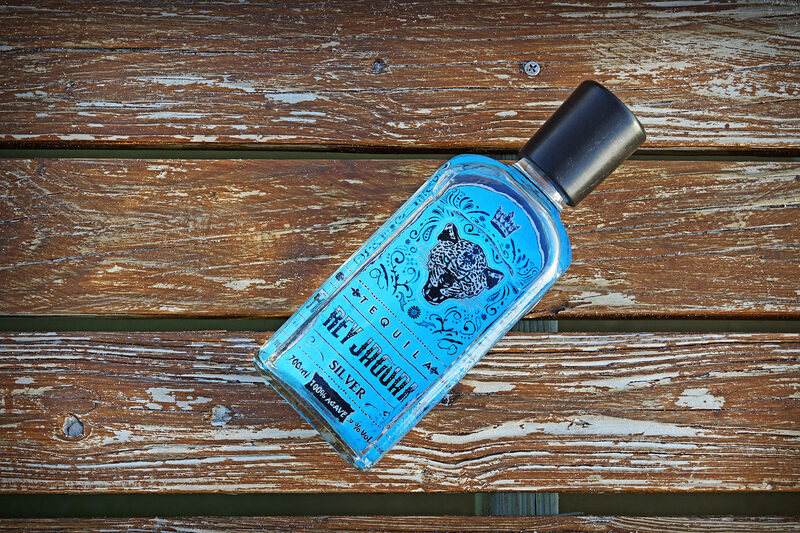 Rey Jaguar Silver possesses the true flavor and aroma of blue agave. Prepared in small batches, 100% pure agave; the color is vivid, firm and clean, with a bright, intense ochre tone. Its aroma corresponds to a product in harmonious equilibrium, qualities that are achieved by obtaining the liquids that result from a third distillation of the blue variety of agave tequilana weber, as well as a 24-month ageing process in French and American Oak barrels, which give it an exquisite smoothness. With its well-balanced flavor of the purest blue agave combined with the smooth flavor of the best wood, Rey Jaguar is a tequila of the highest quality that will please the most demanding palate. Aroma: A touch of wood, a mix of nut and vanilla, a touch of slightly smoked coffee. The cooked agave, with a fresh herbal aroma has a sweetness like that of honey, maple and raisins.